On a morale high after taking his first general classification success of his pro career, Taylor Phinney has now focused his sights on trying to win the time trial at the upcoming Tour of the Mediterranean. The American rider will be part of the BMC Racing Team lineup in the event, which begins on Thursday. He acknowledges that the final climb in the race makes shooting for the overall an unlikely task, but has pinpointed goals that he wants to achieve. “The victory in Dubai has given me a lot of confidence,” he confirmed, reflecting on his stage one win and his successful defence of the blue leader’s jersey on subsequent days. “The time trial there is definitely a big goal. It is supposed to be a bit hilly, but I will give it my all regardless and hopefully come away with another big result. Phinney has had what he describes as his best-ever winter of training and is at a higher level than in the past. He has said that he has set higher goals for himself in 2014, reasoning that at 23 years of age, it is time to increase the number of wins. Another rider who felt in good shape in Dubai, Thor Hushovd, has said that he has benefited from the sharpening of form he had there and that he expects to be in the hunt in the French event. He finished fifth overall in 2003 and was a stage winner five years later. Having returned to form last year after a difficult 2012 – and now into the final year of his current BMC Racing Team contract – he is looking to clock up some wins this season. He has set himself the task of winning one of the three flat stages in the Tour of the Mediterranean. The team will also include previous top ten finishers Steve Cummings and Amaël Moinard, who were ninth in 2011 and 2008 respectively, as well as the Belgians Yannick Eijssen, Ben Hermans and Klaas Lodewyck plus the American Larry Warbasse. 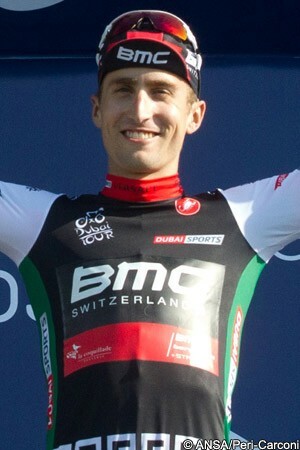 Cummings is also in strong form, having finished second to Phinney in the Dubai time trial and then taking second overall.